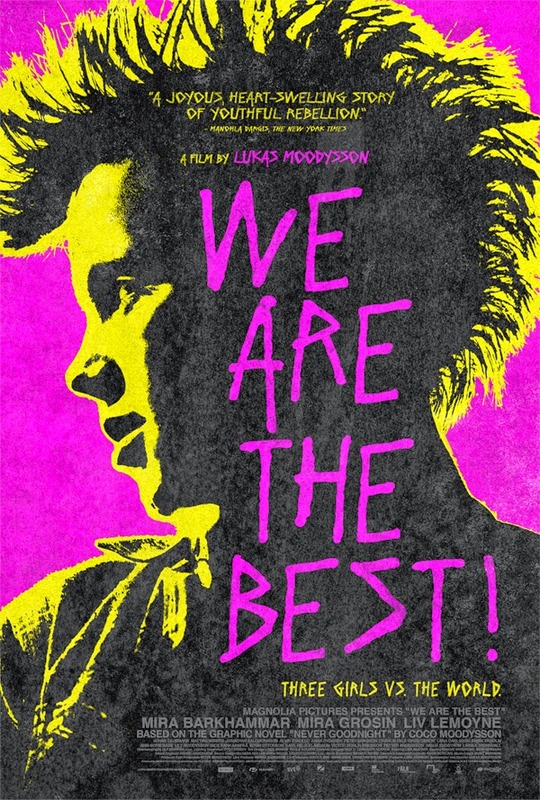 Howlin' Wolf Records: SIX STRINGS: Magnolia Pictures will release WE ARE THE BEST! WE ARE THE BEST! is Moodysson’s adaptation of his wife Coco's graphic novel about three young misfits growing up in early '80s Stockholm. Pixieish, mohawk-sporting Klara (Mira Grosin) and her best friend Bobo (Mira Barkhammar) are 13-year-old rebels looking for a cause. Despite having no instruments—or discernible musical talent—the two put all their energy into forming an all-girl punk band, recruiting their shy, classical guitar-playing schoolmate Hedvig (Liv LeMoyne) as the third wheel. With tender affection for his young characters and the period in which his film is set, Moodysson paints an ebullient and sharply observant portrait of DIY spirit and growing up different. We all are rebels, so some just act on it!